Click here to visit our Happiness HELPS website. The acronym “HELPS” provides an easy-to-follow guide which can be used by everyone to promote and maintain their mental health. Spiritual growth e.g. read your bible, pray. 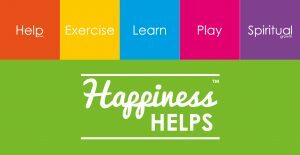 “Happiness HELPS .. to liven up our lives and prevent mental illness. Happiness can be created by doing. Helping others, exercising, learning something new, playing and spiritual growth are activities that create happiness”. It’s often said that it’s better to give than to receive. It’s no secret that doing something nice for others makes you feel better about yourself and the world. In healing others, you heal yourself. 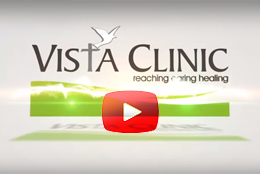 During the first few weeks of our campaign, the different departments of Vista Clinic embraced this theme by helping others in many ways, such as helping them to appreciate the things they take for granted. We have so many things to be grateful for. When we help others who have less than us, we then see how much we truly have. Learning something new every day is important, as it keeps the brain active. A positively engaged mind promotes a positive mood. Engage in mentally stimulating activities, such as Sudoku or word puzzles. In keeping with this theme, some of the Vista staff even learnt how to say “hello” in all 11 official languages.